Racecourse Road in Mornington is an important local road under development pressure that needs to be brought up to current day standards with kerb and channel and drainage. There are also significant current safety issues and road congestion associated with this section of road. Pavement is sub-standard leading to pavement failures and increased safety issues. Reconstruction of the road will provide a wider pavement, improved alignment, underground drainage, kerb and channel and bus bays. 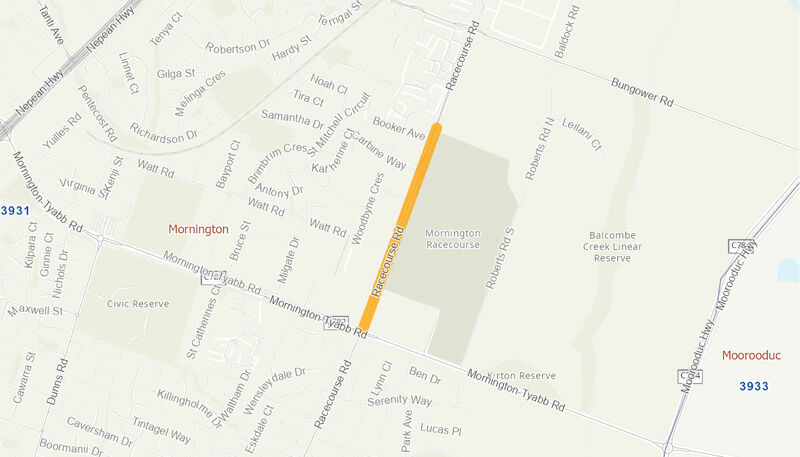 Proposed works are 1km long from Mornington-Tyabb Road to Booker Avenue with a sealed pavement width of 9.0m metres allowing for two through lanes and a central right-turn lane.